VX News: Our partner publication, The Planning Report, interviewed you more than two years ago in your role as director of the local Water Replenishment District Board, which you’ve held since 2004. Your opening comment was: “We can’t wait for the state to fix the Sacramento Delta. Our water supply from the Sacramento Delta faces potential catastrophe from even a moderate earthquake.” How right were you? Robert Katherman: We were spot on. In addition to the risk of earthquake, as the state has become painfully aware, water supply from the Sacramento Delta is also vulnerable to protracted drought. So we can’t wait for a state fix, which is something WRD realized even before the State Water Project was built. 53 years ago, WRD became the first water agency in the country to use recycled water for groundwater recharge. Ten years ago, we created our Water Independence Now (WIN) Program, which is a series of projects that utilize additional recycled water and stormwater capture with the goal of making our groundwater aquifers completely independent of imported water. As the governor has said, we’re on “Spaceship Earth” in a closed system. We’re not going to get any more water molecules, and we need to value and put to beneficial use the ones we have. VX News: Please share WRD’s essential public mission. Robert Katherman: WRD was formed in 1959 and covers about 400 square miles of south Los Angeles County, which includes about 10 percent of the state’s population. Our job is to put a pump tax on groundwater pumping and use that money to replenish the groundwater here. We replace the water that is pumped out in order to keep the basins as sources of groundwater supply. Our groundwater basins are adjudicated, meaning that there’s a limit on the amount each pumper can pump annually. Our basins have annual pumping of about 250,000 acre-feet, which is 40 percent of the total water consumed in our area—but Mother Nature only supplies about half of that. Our job is to make up the other half that Mother Nature does not supply in an average year. For the last four years, we’ve seen a large decrease in the amount of stormwater capture in our basin. During this most recent four-year-long drought we have maximized our use of recycled water from the LA county Sanitation Districts to put into the spreading grounds. VX News: In our 2012 interview, you shared WRD’s Water Independence Now Master Plan, which was then underway with the goal of completely eliminating the need for imported water over the next five years. Update us, given the four-year drought, on the status of that plan. Robert Katherman: We’re pleased that, on most accounts, our scorecard is good to excellent. For instance, we’ve completed the advanced water treatment plant in East Long Beach, providing 100 percent recycled water to the Alamitos Barrier, which protects against seawater intrusion in the south portion of Long Beach and the north portion of Orange County. Now, we’re completely off of imported water for replenishment in the south part of the Central Basin. In addition, we’ve purchased five acres of property near the spreading grounds in the Montebello Forebay, next to the Rio Hondo and San Gabriel Rivers, where we’re going to construct an advanced water treatment plant known as the Groundwater Reliability Improvement Project, or GRIP, as we lovingly call it. That treatment plant, when completed in 2018, will eliminate the need for any imported water for replenishment of our groundwater aquifers and will completely drought-proof the Central Basin. We start construction early next year, and we’ll be done about two years after that. On the West Basin side, we partnered with West Basin Municipal Water District to build Phase 5 of their advanced treatment water plant in El Segundo. That has been completed, and replaces about two billion gallons of imported water annually with purified recycled water for the seawater barrier along the West Coast, running from the airport down to Palos Verdes. This completely eliminates the need for imported water for this seawater intrusion barrier. Lastly, we’re working with the City of Los Angeles Department of Water & Power and Bureau of Sanitation on Phase 2 of the Terminal Island Advanced Water Treatment Facility. The mayor held a groundbreaking there in the spring. It will provide an additional two million gallons a day of recycled water for the Dominguez Gap seawater barrier, which is located north of the Ports of Long Beach and Los Angeles. This will bring the entire seawater barrier system for south Los Angeles County into recycled water utilization, with no need for imported water. 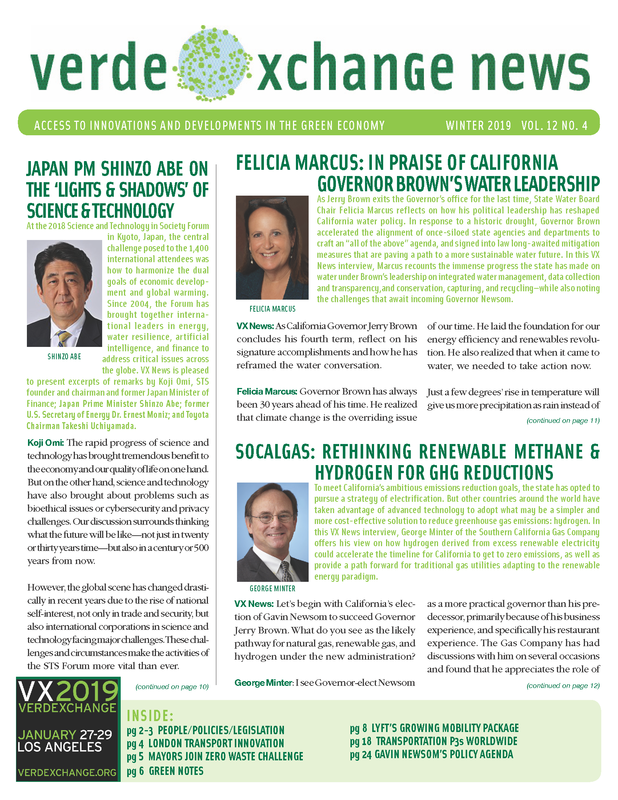 VX News: In Governor Brown’s recent public comments regarding the water bond, he successfully championed a year ago, he stressed the need and value of local districts’ efforts to reduce reliance on imported water. How is WRD putting to use the state’s water-bond funds? Robert Katherman: In fact, our staff has been up in Sacramento several times this summer meeting with the Water Resources staff about utilizing state revolving funds for low-interest rate loans and clarifying how to apply for the $700 million worth of grants for which we are eligible. From what we’re told, we are among the first to be ready to apply for a “shovel-ready” project. VX News: What shovel-ready projects are on WRD’s wish list? Robert Katherman: The GRIP project is at the top of our list. That EIR has just been completed. We had to revise the final EIR to accommodate the new five-acre site that we purchased. We are also looking for funds to construct an addition to our brackish water desalting plant in Torrance which when completed next year, will allow 5 million gallons a day of salty groundwater to be pumped, treated and served to City of Torrance residents, replacing imported water. VX News: Turning again to the subject of local water independence: LA Mayor Garcetti has issued an executive order calling for LADWP to reduce its purchase of imported water by 50 percent by 2020—truly a stretch goal. Is it doable? Robert Katherman: I think you have to set goals in order to accomplish anything. We applaud the City’s efforts and his leadership. They’re going to have to be extremely diligent in moving their projects forward to meet Mayor Garcetti’s aggressive deadline. Between conservation—which the City of LA has done a pretty good job of—and increasing the use of recycled water and groundwater in the San Fernando Valley, I think the goal could be accomplished. We’re looking at doing the same sort of thing in our district. Our 20-year Groundwater Master Plan, which is nearly complete, would provide a roadmap to increase groundwater pumping by 90 MGD, which, together with maintaining current conservation efforts, will reduce imported water consumed in southern LA County by nearly 50 percent. VX News: Relevant to the above, what are the prospects of an earthquake seriously impacting Southern California water supply and reliability? Robert Katherman: The Bay Delta is a fragile system of levees that could collapse at any time. Imported water also requires a substantial amount of electrical energy consumption to be pumped over the Tehachapi Mountains. We learned from the Colorado River Basin Tree-Ring Survey, which studied over 1,000 years of rainfall amounts in that basin, that there are periods of time when drought can last a century. These mega-droughts are historically possible and likely to reoccur in the future. That study was a wake-up call for all local water agencies that we’ve got to take care of our local groundwater supplies. The state should look at what it did in the Water Replenishment District Act that enabled our creation, and assist in the creation of replenishment districts throughout the state to provide a source of funding for creating local recycled water and conservation for aquifer replenishment. We also need to look at adjudicating water basins on a voluntary basis to limit over-pumping. Pumpers have to agree that they can’t continue to overdraft the groundwater basins, or there will be a price to pay in the future. So the WRD experience could be of great value to much of the rest of the state. Those lessons stand out in my mind now, as we’re in the fourth year of our drought. We’ve got to pay more attention to our groundwater as a natural resource. Once it’s gone, you’re never going to get it back—as you see with the actual compression of groundwater aquifers and surface settlement in the Central Valley when the groundwater aquifers are over-pumped and there is no institutional mechanism like a WRD to replenish them. VX News: VX News has covered Southern California’s transition to collaborative water management extensively. Can you speak to how the Replenishment District fits into this larger push by municipalities and local jurisdictions toward “One Water”? Robert Katherman: Two recent historic Superior Court decisions on storing water in our basins will enable water to be stored in wet years for pumping in dry years. Our groundwater aquifers have nearly a half million acre-feet of empty space that can be used for water storage, like a large reservoir. The use of this newly accessible and significant groundwater storage space in our basins will only further our region’s water independence. This will not only provide benefits to our service area, but will provide relief to the entire State during times of drought or natural disaster. VX News: Let’s pivot now to the Bay-Delta Conservation Plan, which you were very supportive of in our last interview. The governor has evolved that plan. Share your thoughts about its merits, challenges, and value. Robert Katherman: Fixing the Sacramento Delta is critical to our state for a long-term reliable water supply and the preservation of the Delta as a natural ecological area. A lot of stakeholders are not supportive of the plan, and so we’re unfortunately looking at a lengthy approval process that will have to go through the court system. I think we’re looking at another decade or two before that project comes online. In the meantime we have to look to local recycled water, stormwater capture, and conservation. 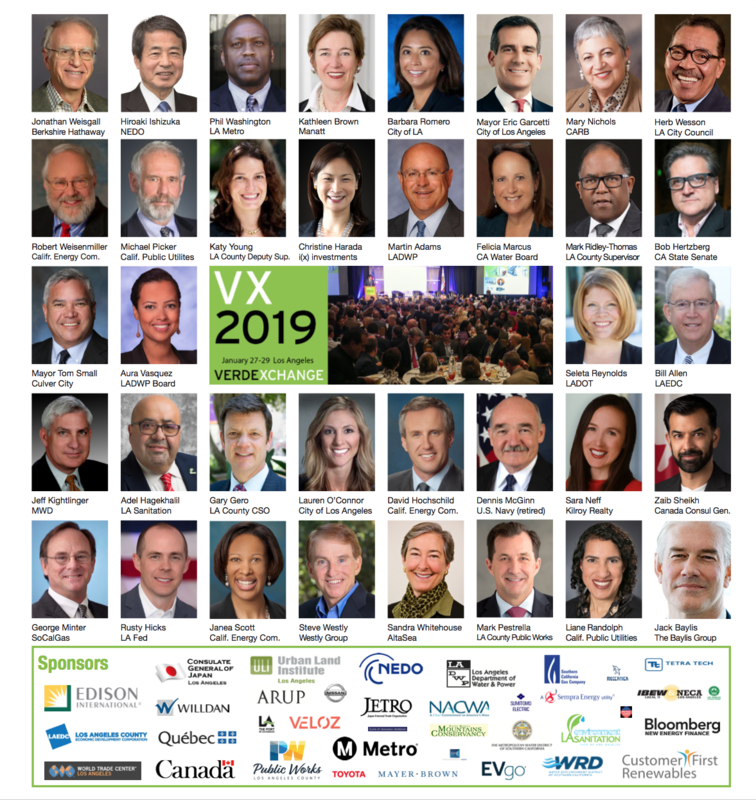 VX News: Speaking of challenges and the need for better collaboration, address the outcome of litigation regarding WRD and the Central Basin Water District, and also Prop 218. Robert Katherman: As I stated earlier, we have tremendously good news on groundwater storage. Litigation that started 15 years ago over the ability to store water in the half a million acre-feet of unused aquifer space has finally settled. To put this 500,000 acre-feet into perspective, that’s about 75 percent of the size of Diamond Valley Reservoir, which cost the Metropolitan Water District over $2 billion dollars to construct. We have that existing resource beneath our feet that can be utilized now. On Prop 218 litigation, we have recently negotiated a settlement with the three litigant cities. While we still believe Prop 218 does not apply to adjudicated groundwater basins, we voluntarily adopted a protest hearing process two years ago, and have, in the settlement, agreed to voluntarily continue that process while the courts decide whether groundwater pumping fees are subject to Prop 218. Central Basin dropped its lawsuit against WRD more than a year ago when two new Board members were elected. We are now working closely with that agency. VX News: For context, we note that you were elected to WRD a decade ago. You most likely were not a water buffalo when first appointed. Describe your learning curve. Robert Katherman: It was steep, to say the least. But I did have a background in environmental engineering, and I was on the Water Commission in the City of Torrance for five years, where I got an education from the water pioneers who started out in the West Basin 50 years ago. At least I had an elementary knowledge of water when I started. The water business has become significantly more complicated as climate change and costs of water have increased dramatically. VX News: Lastly, Lillian Kawasaki, a former WRD board member, championed the WRD ECO Gardener Program. As a tribute to Lillian, please elaborate on its origins and purpose. Robert Katherman: Five years ago, the Water Replenishment District started an “eco-gardener” water gardening and conservation program designed to educate professional landscapers and gardeners on how to plant drought-tolerant plants, water-saving irrigation practices, and garden design. Our director, Lillian Kawasaki, who was a legend in the local environmental community, was a big proponent of that program and greatly expanded it. We now have weekly water conservation education for homeowners as well as professional landscapers. We’ve named that program after Lillian, who passed away, unfortunately, a couple years ago. Read more VX News articles here.